What tyres can I use? How should tyres be stored? Which tyre pressure is ideal? What does the DOT number stand for? Winter tyre obligation in Europe? On the following pages you will find the answers to these and many other questions. We have clearly summarized all about tyres for you, which is relevant for drivers and motorcyclists. 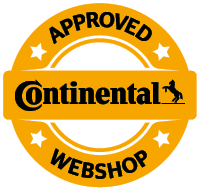 We provide information about the most important facts of tyres. Do not rely on half-truths - mytyres.co.uk is your specialist for tyres online and we are happy to share our knowledge with our customers.